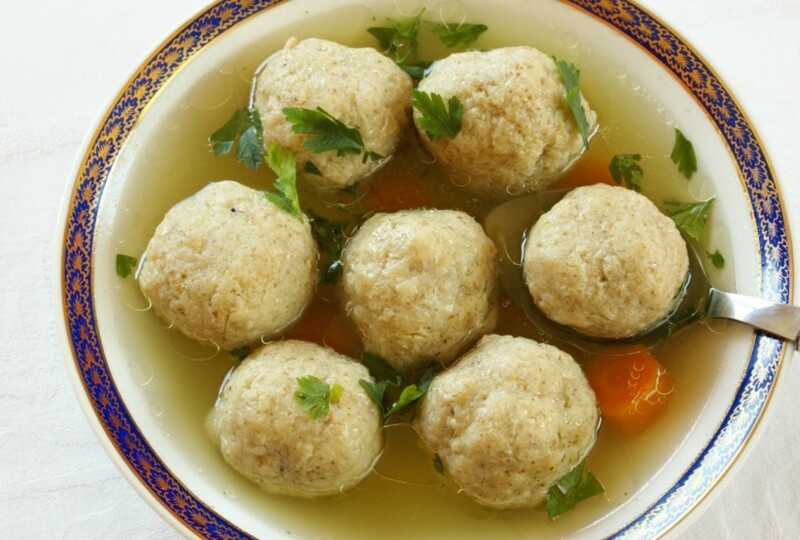 My cousin Bracha gave me this recipe for light, fluffy and perfectly round matzo balls when I moved to Israel and asked her where to find matzo ball mix. I will NEVER go back to making Matzo Balls from a mix again. 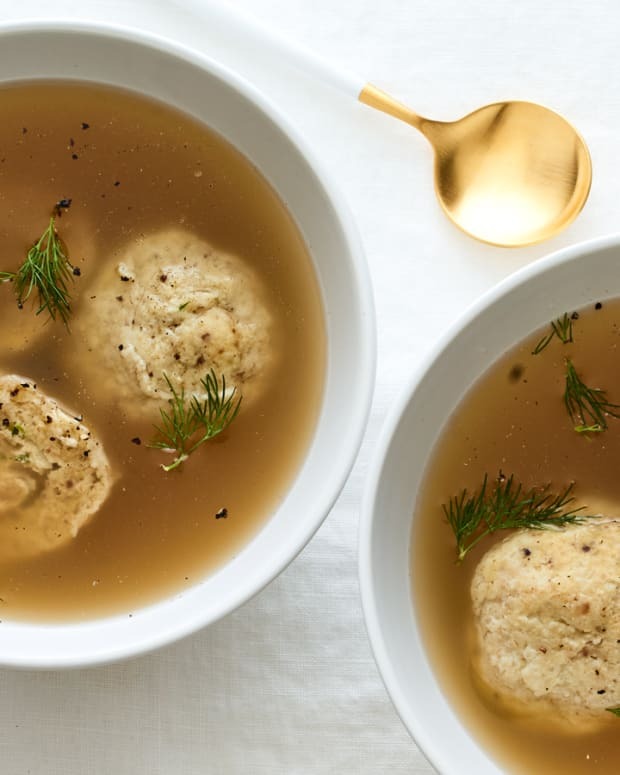 Watch me make these matzo balls on the Today Show. 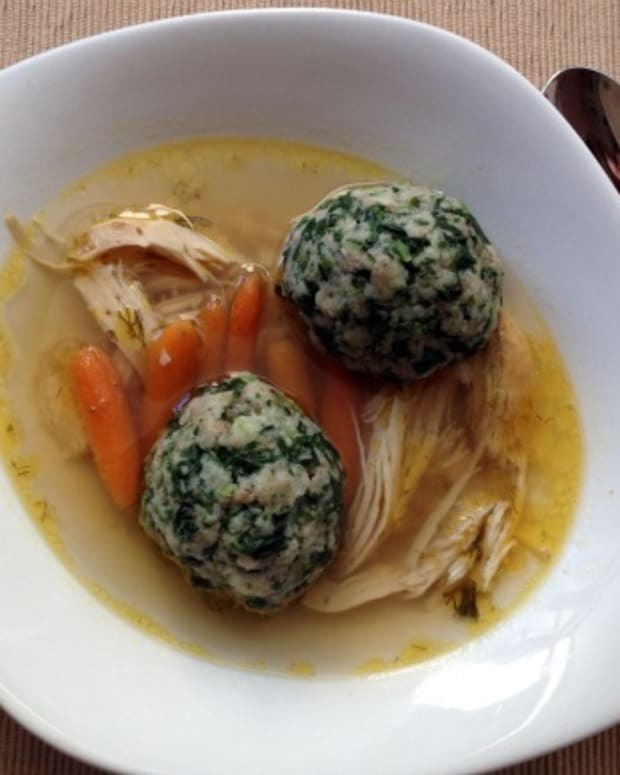 Looking for my best ever matzo ball soup recipe? 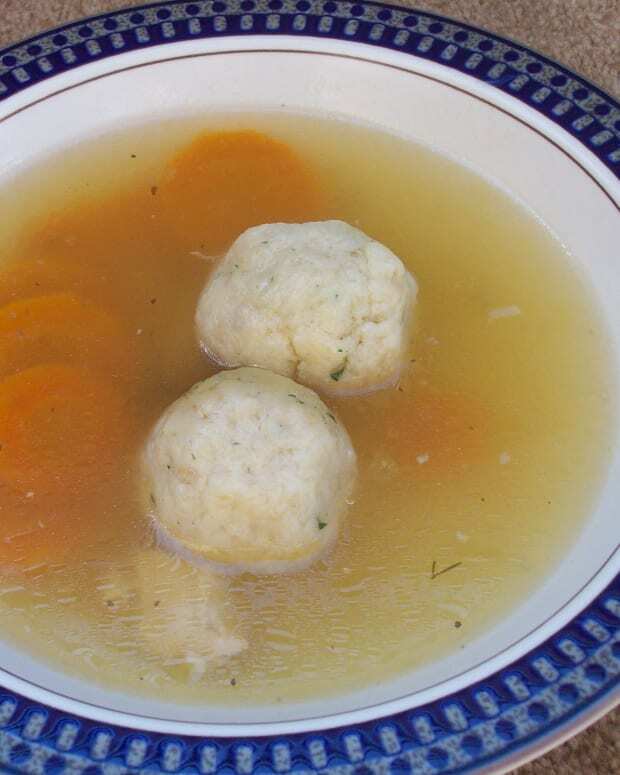 It combines these matzo balls with my crystal clear chicken soup. 1. In a medium mixing bowl beat eggs with a fork for 30 to 60 seconds. 2. Add seltzer and evoo and beat together another 15 to 30 seconds. 3. Add matzo meal and mix together until just combined, don't overmix. Cover and place in the refrigerator for 30 minutes or until firm. 4. In a medium sized pot bring 3 quarts of well-salted water to a rolling boil. Reduce heat to a simmer. 5. 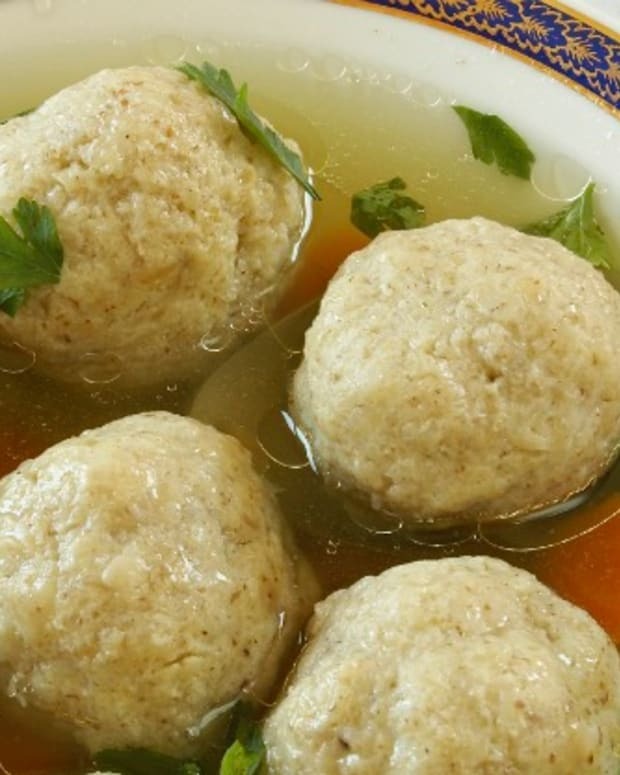 With wet or well oiled hands form matzo balls by gently rolling a spoonful of matzo ball batter to approximately 1-inch in diameter in the palm of your hands. 6. 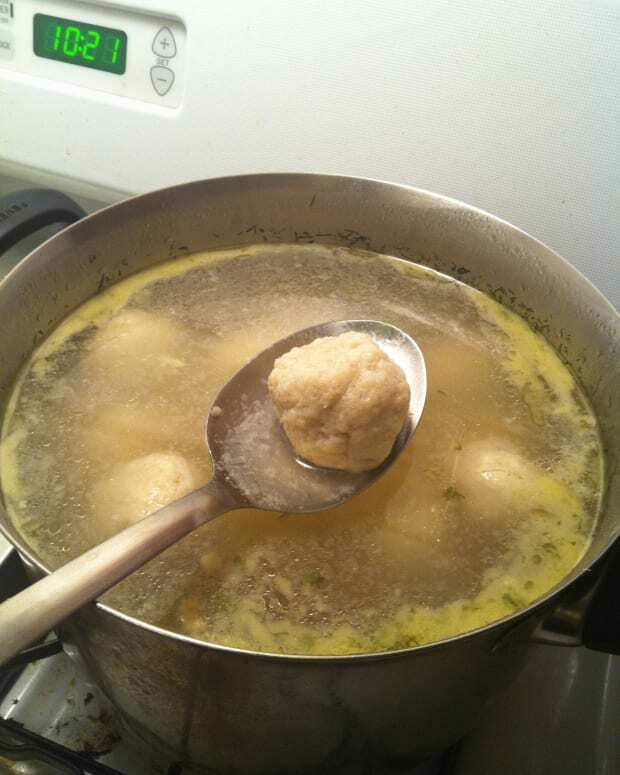 Drop matzo balls carefully into simmering salt water one at a time. Cover the pot and cook for 30 to 40 minutes. 7. 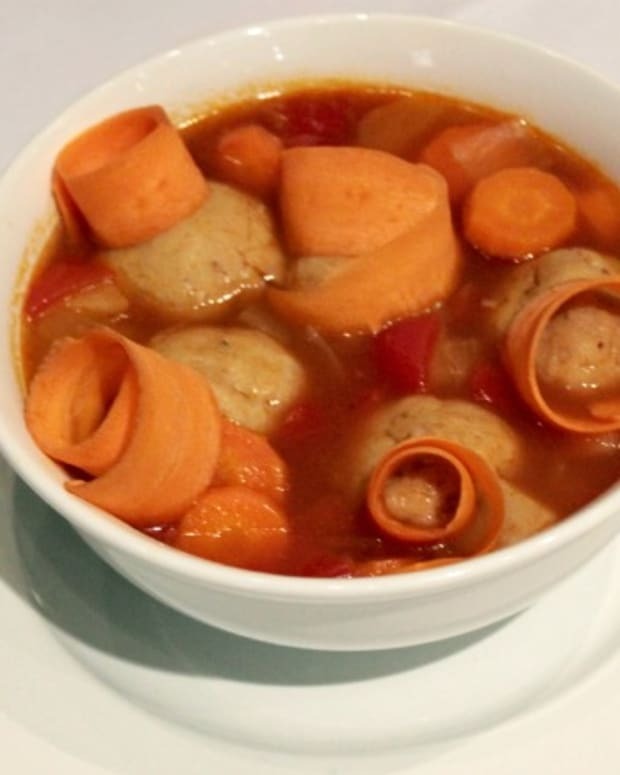 Ladle into soup bowls with your favorite soup or use your favorite broth.